Your car camping friends will be put to shame when they hear about your adventures at Indian Garden Campground. To get there, you have to hike two-thirds of the way into the Grand Canyon…with all your gear. But the canyon views make the trip worthwhile — the white, rose, and rust-colored rock layers record millions of years of the earth’s history and create the perfect backdrop for your campsite. A perennial creek runs through the campground, and lush grasses, cottonwood trees, and willows line the banks. This oasis stands in stark contrast to the surrounding desert badlands. Drawn to the creek, Native Americans lived here for thousands of years before hikers and backpackers discovered this special place. Located just off Bright Angel Trail, hikers and mule trains now stop at Indian Garden for water and shade breaks. At night the foot traffic subsides, and you’re left with a full sky of stars in one of the most remote places in the world. Every campsite has a shade structure, picnic table, pack pole, and food storage cans. Consider making the trip out to Plateau Point (3 miles roundtrip) to see views of the Colorado River. Camping below the rim in the Grand Canyon requires a backcountry permit, which you can get up to four months in advance of your trip. The park receives about 30,000 requests for backcountry permits each year but issues around 13,000 permits — the earlier you start planning, the better! Fill out the backcountry request form and mail or fax it to the backcountry office (considered four months out). Visit the backcountry office and get a permit in person (considered for start dates one to three months out). 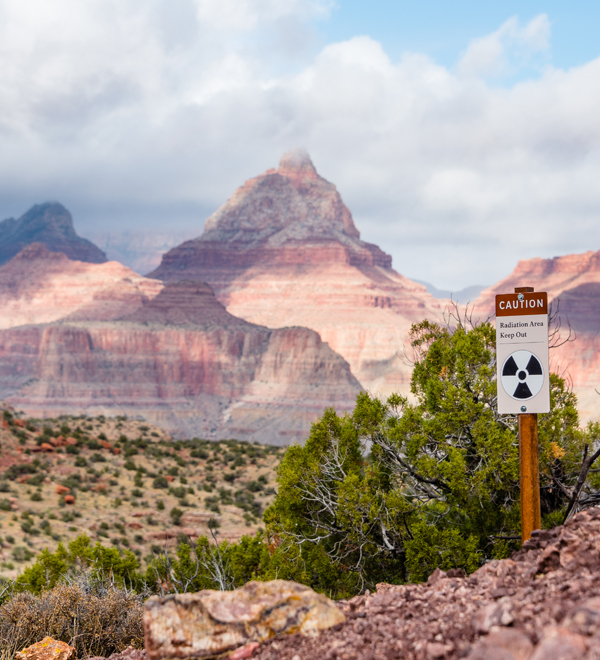 Indian Garden Campground is about 4.8 miles from the South Rim on the Bright Angel Trail. 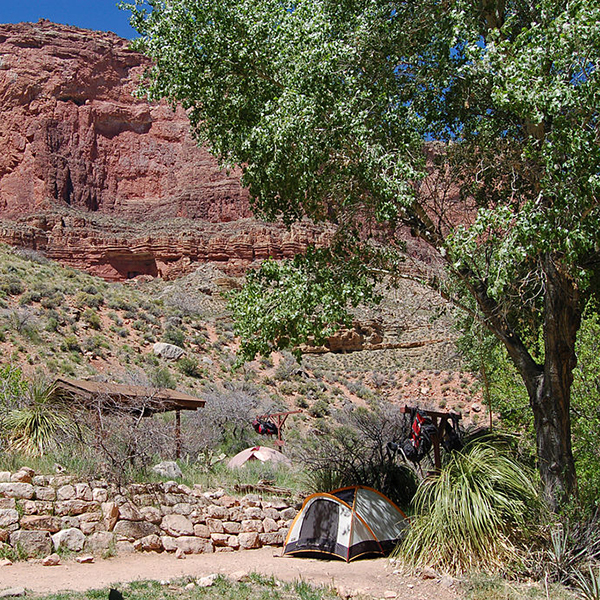 Accessing the campground requires descending more than 3,000 feet into the Grand Canyon. The Bright Angel Trailhead is located in Grand Canyon Village on the South Rim just west of the Bright Angel Lodge near the beginning of the West Rim road shuttle stop.